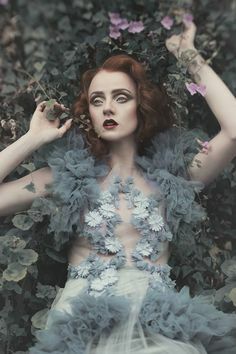 Stunning photography courtesy of: Art Photography Women on Pinterest | Sadness Photography. I simply love this write. This is awesome and the imagery you painted, the story you narrated just flows with eloquence. Beautifully penned, Jennifer. Oh wow Amitav. That’s beautiful. You should post that! You talented poet you! zaza!! Jennifer (almost said the other) see Nathalie. I listen lol. Delicate poem with a stunning photograph. What a lovely comment. The Lady of Shalott is spectacular.